It looks like 2017 is the year that I say goodbye to some of my favorite comic books and it kicks off this week with the finale of Nailbiter, Joshua Williamson and Mike Henderson's story about a small town in Oregon that kept producing serial killers. It has been a wild ride and a series that I will revisit annually. I should also briefly add that Image Comics is publishing some amazing stories. I was unaware of how it was dominating my pull-list until I looked at my stack of comics this week. Royal City #1 - This debut issue from Jeff Lemire is absolutely stunning and hearkens back to his earlier work like Essex County and Sweet Tooth. I have really enjoyed his venture into science fiction and have really enjoyed his Old Man Logan arc, but there is something so chilling and satisfying reading one of his books that is grounded like this. The setting of this story is Royal City, a small manufacturing city that has seen its better days. Peter Pike, the patriarch of this story, suffers a stroke when he thinks he hears the voice of his son through the radio. His family, each with quirks of their own that we can all relate to, returns to be by his side and are likely going to be forced to confront their differences and what happened to Tommy in 1993. This issue has me absolutely hooked and I cannot wait to see what unfolds in the months to come. To even further enhance your experience reading this book Lemire created a Spotify playlist that is worth checking out here. Nailbiter #30 - I have long thought that most of the series that I truly love are series that have a clear beginning, middle, and end. They don't drag on longer than they need to and really focus on the characters that drew me in early on. Joshua Williamson and Mike Henderson were able to accomplish this with Nailbiter and provided an enjoyable ending with a great epilogue. I worried early on that I wouldn't enjoy how they explained the big mystery in this series (what is it about Buckaroo that causes so many people to become serial killers), but am happy to report that you will not be disappointed as you read through these 30 issues, peeling back layers of the mystery with each one, until the big reveal. As I mentioned earlier, this is a series that is going to make it to my annual read list and I can't wait to return to Buckaroo, Oregon later this year. Batman #18 - This is probably the best rebirth issue yet. Tom King did an amazing job showing the parallels between a young Bruce Wayne and Bane as the two battled. Bane, wanting to work out a deal for The Pirate, delivered a thrashing to Batman that was reminiscent to the time he broke the bat's back. While the continuation of the "I am Bane" arc was solid, the paralell flashback was the star and a great demonstration of how powerful this medium is. Great work from the entire creative team, including King, David Finch, Danny Miki, Jordie Bellaire, and John Workman. Looking forward to what comes next. 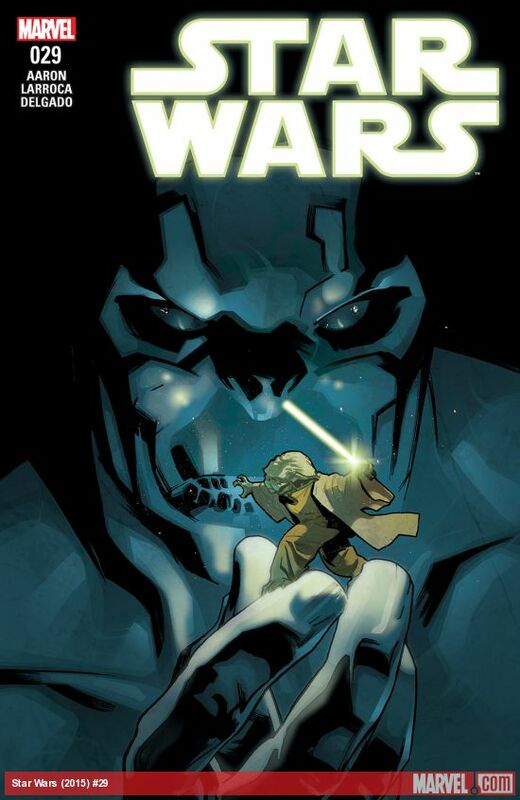 Star Wars #29 - It pains me to say, but I think that this will be the last issue of this series I pick up. Its not that it isn't good, but that I feel that its connection to the original trilogy has dwindled. That was what brought me in and it is harder to form that bridge from the movies to this book. I still plan on reading some of the other Star Wars books, but will take a break from this one for a bit. Definitely still an interesting read, but it is time for me to move on. The Walking Dead #165 - This is another series that I fear will go by the wayside for me soon. While I am really enjoying the odd pairing of Rick and Negan, I feel the overall narrative has remained stagnant for some time. Each individual arc is interesting and Robert Kirkman is the master of keeping people on their toes and throwing a wrench or two into the gears, but we are reaching the point of no return in terms of revisiting this series. I am an old man who has an early bedtime and don't fathom every going back through 165 issues. While it is still fun, I worry that it is only limping along and grunting as it moves forward. Paper Girls #12 - Things don't appear to be working out so well in the new time period the girls find themselves in as the hostiles and creatures don't appear to be too friendly. They have learned a little bit, thanks to the universal translator, from one woman, but she is concerned about the safety of her child and doesn't seem like she is going to provide much assistance. This series remains to be very bizarre and enjoyable and one that should win some Eisners this year.